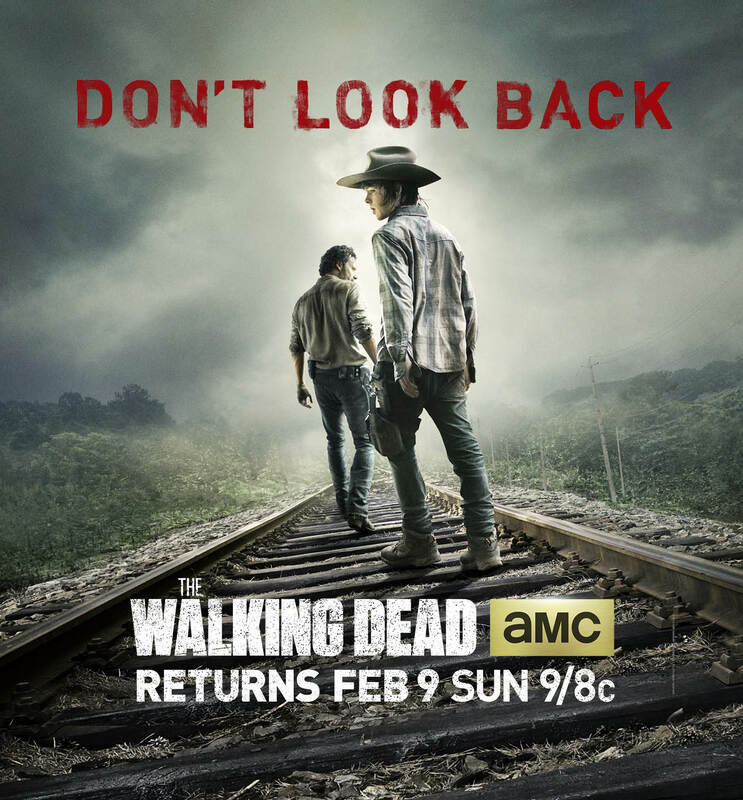 The Walking Dead returns this February 9th. And of course, after what happened with the mid season finale, fans are eagerly anticipating what’s coming. And so am I, now that things are back on track and the show is closely mirroring what went on in the original comic. In fact, the caption “Don’t Look Back” is a reference to the last line from Volume 8: Made To Suffer, which was also the last line of the last episode. Of course, this line has a double meaning, referring to how Rick and Carl needed to abandon the prison with all speed. It’s also a reference to how the two will have to put their grief behind them if they are going to survive in the wilderness now. The other survivors – Daryl Dixon, Tyreese, Michonne, Glenn, Maggie, and the rest – were separated from them, and are facing similar challenges. 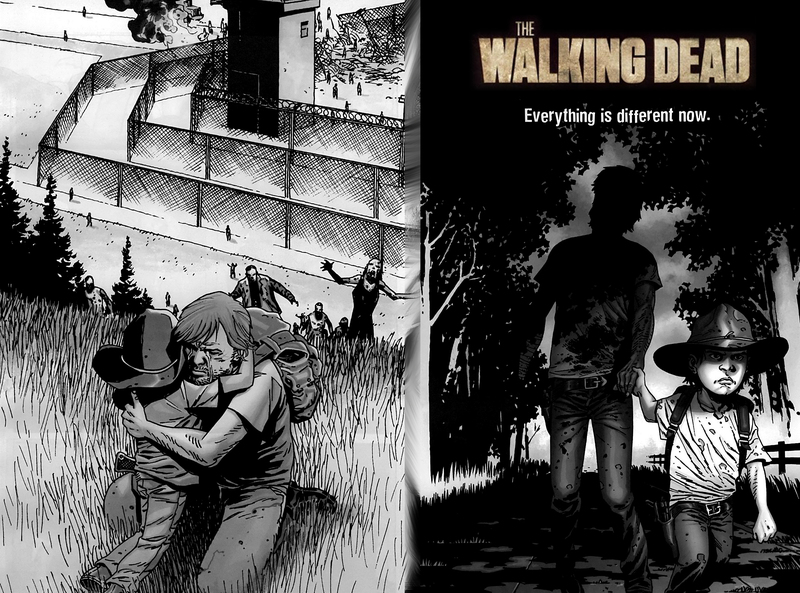 This is of course how season 4.5 will open, with the two groups looking for food, shelter and safety. And I anticipate they will meet up with a few people from the Governor’s camp, as some attention was dedicated to how his one-time companions made it out in one piece – such as Tara, and perhaps her sister Lilly. We’ll see how that plays out. And if I were to make some predictions – based on what they’ve done with the show and from the comics – I think they will find their way back to Morgan, and this time around he will join them. It’s also obvious that the two camps will eventually reunite, but I anticipate that will take several episodes. We all know how they just love to drag things out on the show, don’t we? For the season finale, I anticipate they will find their way back to Hershel’s farm, and that it will end with the addition of some new characters and a new hope which will put them back on the road again. Can’t be more specific, as that would involve major spoilers! In the meantime, enjoy the new trailer. Hopefully, it will tide us over until next week!